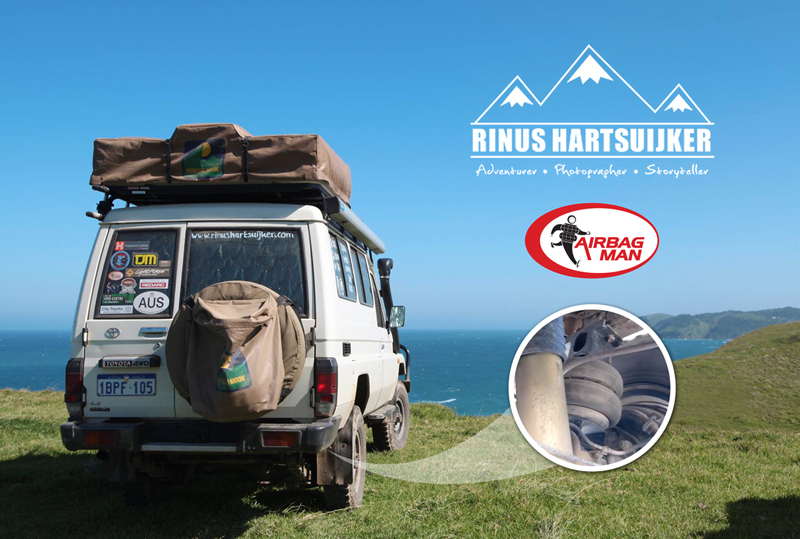 Follow Rinus & Helga as they travel through the world’s most breathtaking landscapes in their Land Cruiser Troop Carrier all kitted out with Airbag Man Suspension to help cater for the load they are carrying & maintain a safe & level ride at all times. 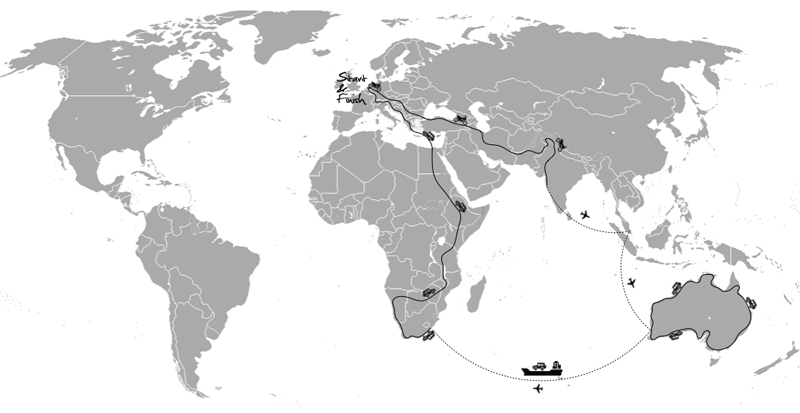 In June 2014 Rinus left the Netherlands on his motorcycle and drove through Europe, Turkey, Iran, Pakistan and Kashmir to India. From India he flew to Perth, Australia where he met up with Helga. 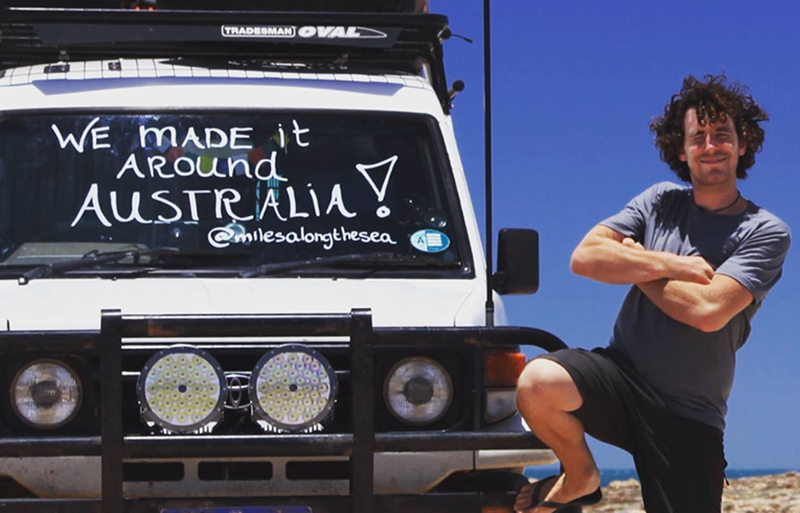 Together they bought the Toyota Troop Carrier and are at the moment travelling around Australia. From Perth they will then ship the car to South Africa and will drive along the eastern route back to Europe and eventually, The Netherlands. I already felt a longing for adventure from the age of ten. I remember getting a climbing rope for my birthday which I immediately knotted around my waist while looking for mountains to climb. I never actually used that rope, but my longing for traveling was born. I found my very first adventure when I was 17 and started working on a freight ship. Here I learned what traveling was, how to persist and deal with different cultures. I also lost my fear of being alone and gained the ability to make my own plans. Two years later I realised that I needed to move on in order not to get stuck in what I was doing. I left ship and was back in school within two weeks where I started studying “ Sports Studies”. My dreams of adventures never ceased to exist and luckily I got the opportunity to do an internship at the Outdoor Education & Recreation Leadership Department of Northwest College in Powell, Wyoming (USA). I received training in climbing, rafting and a course in winter/desert survival. Later on I got the chance to go to Los Angeles to teach sports in a youth detention centre. After finishing my studies I travelled around Mexico as a backpacker and moved to a small French Alp village called Vaujany for the winter to become better at skiing and snowboarding. During my study International Business Management and later on Business Economics I still longed for traveling to far away countries. In 2010 I finally organised my own trip through Mongolia: the start of all my self-organized travels thereafter. Because of my travels I’ve only been more fascinated by far away destinations and new cultures, I’m obsessed by the many colours and diverse landscapes, addicted to new experiences, adventure and I have a passion to share this with others. As an English teacher I love the English language and I realized that this experience will eventually make me a better teacher with amazing stories to tell. To be in such a vast country is a dream. The emptiness of the rural areas vs the busy cities. I will take it all in and make unforgettable memories. Driving through Africa back to the Netherlands is exciting and a little scary. I am looking forward to the amazing scenery and people. The expedition vehicle has been our home for the last 16 months driving around Australia and will be our home crossing Africa and Europe. 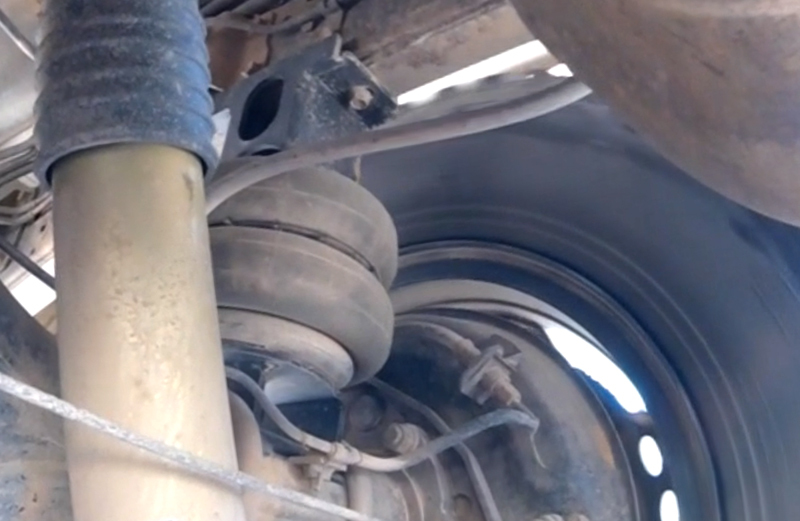 Below you can find more information on how we converted this standard vehicle in to an overlanders vehicle. 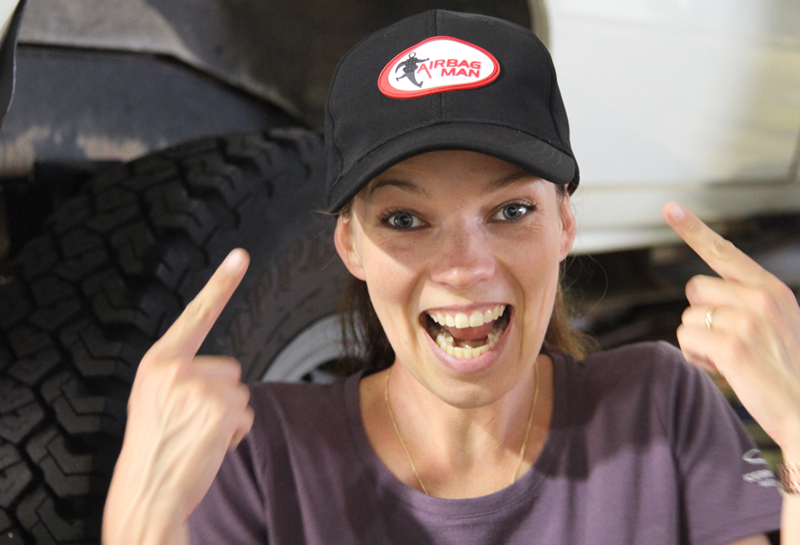 After arriving in Australia we started looking for the right car that would be suitable for an overland journey. Toyota Land Cruisers are known for their reliability. 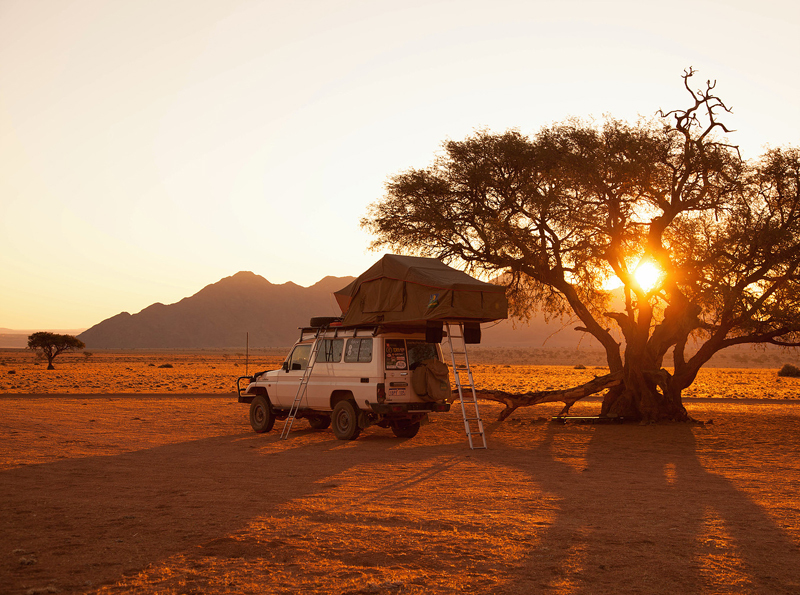 We were very lucky finding a well equipped and taken care of Land Cruiser that had been used by Austrian photographers documenting the West coast of Australia. Technically speaking: a 2001 HZJ78R Toyota Land Cruiser Troop Carrier with a 6 cylinder, in line 4.2 liter naturally aspirated 1HZ diesel engine. It has coil springs in the front and emi-elliptic leaf springs in the back, dual batteries, two 90 liters diesel tanks, Safari snorkel, 60 liter water tank, LS differential lock and 370.000km (when we bought it).